Divorce and separation amongst the rich and famous is always in the news. We all remember the ‘conscious uncoupling’ of Gwyneth Paltrow and Chris Martin. Not to mention the love, admiration and respect Antonio Banderas and Melanie Griffith still had for each other after they parted company. But are celebrity couples really any different from the average man, or woman, on the street, when it comes to divorce or separation? Of course these mega stars have huge PR machines behind them to make everything seem ‘rosy’ but then we see the pictures of the couples still sharing outings together with their children, so there must be some truth in the statements they make so publically. Don’t you think? In my career spanning twenty years I have dealt with only a handful of cases where both parties are at the same stage emotionally when it comes to divorce. It is more often the case that one party is way ahead in the ‘healing’ process and often the decision to end a relationship comes as a bolt of the blue for the other half of the couple. As a result of this there is inevitable ill-feeling between a couple sometimes for months or even years after separation. This can of course then impact upon how parties approach the divorce settlement between them and how they deal with arrangements for each parent to spend time with the children. The conclusion I reached was that it is perhaps easier for celebrities to part company on friendly terms as they have millions of pounds at their disposal to enable them to pick up and start again. I am sure neither Gwyneth nor Chris had to worry about where they and their children would live, whether they afford to buy or instead would have to rent. The reality for your average separating couples is somewhat different. Often limited assets which were once amassed to benefit two people and one family must now be shared around to provide for two households. Not an easy task even for a magician. So it’s perhaps not surprising that couples find it hard to agree between themselves and end up asking a family law Judge to decide. The Judges at Court are left with the unenviable challenge of having to suggest a split of assets that will be ‘fair’ to both parties. The Judges have regard to both parties’ needs, the assets and income they have available to them and their ability to earn in the future. The best advice I can offer to any separating couple is to make sure that you obtain proper legal advice at an early stage from a specialist family lawyer. The involvement of lawyers is not a negative step, it is very much a positive one. It will help provide invaluable information so you don’t spend sleepless nights worrying about what may or may not happen and it will put you both on the right path so you can start to treat each other fairly again much quicker. 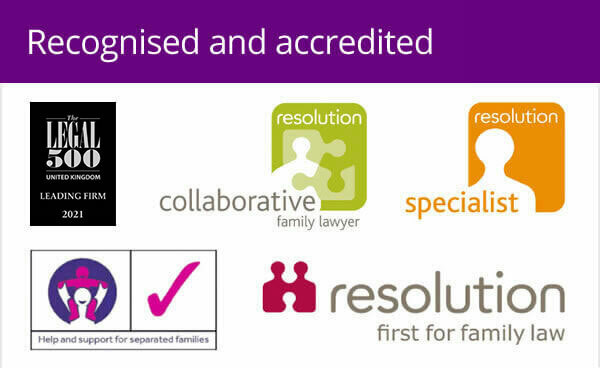 All Woolley & Co lawyers are family law specialists and are all members of Resolution. You will not find us dealing with a criminal case in the morning then ‘trying our hand’ at family law in the afternoon. 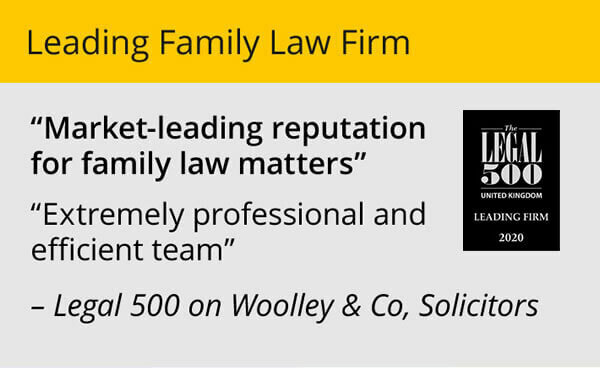 We live and breathe family law 24/7 so we know what family law Judges are likely to award in most cases and can advise you on your case accordingly, very often helping you to reach an agreement with your ex so you both avoid the stress and additional costs of taking your case to court. 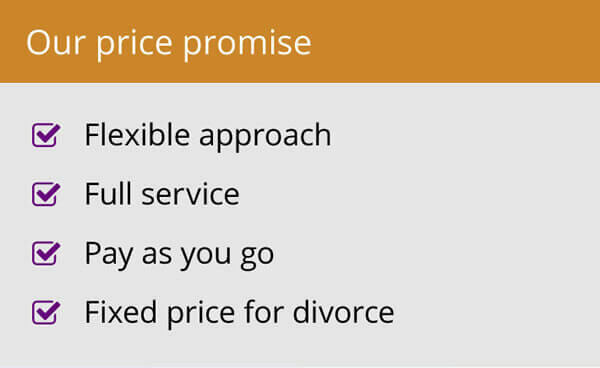 We don’t deal with many celebrity cases, although we have had a few, but we do deal with ‘average’ couples struggling to come to an agreement and wanting to minimise costs as far as possible.